COPD is the most important lung disease encountered and the fourth leading cause of death in the United States, and it affects at least 16 million people. Of the top causes of mortality in the United States, only the death rate for COPD continues to rise, increasing by 22% in the past decade. In addition, the number of patients with COPD has doubled in the last 25 years, with the prevalence of COPD now rising faster in women than in men. COPD causes about 100,000 deaths per year, 550,000 hospitalizations per year, 16 million office visits per year, and 13 billion dollars per year in medical costs, including homecare. COPD is a slowly progressive, chronic disease characterized by cough, sputum production, dyspnea (difficulty breathing), airflow limitation, and impaired gas exchange. Treatment is available that is more effective when used at the early stage of COPD, before the development of symptoms, than when used after symptoms develop. The National Lung Health Education Program (HLHEP) was developed to increase awareness of lung health in patients, healthcare practitioners, and health care organizations. This program recommends spirometry, which is a relatively simple and noninvasive test to detect airway obstruction. 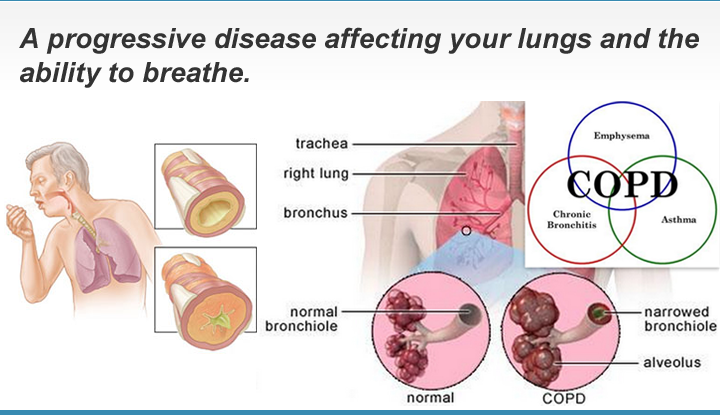 More Info: Learn how we screen for Chronic Obstructive Pulmonary Disease. “Recently I had an employee pull me aside and thanked me for saving her life. It turns out that she participated in the screenings and had been told that there was something on her thyroid and that she should have follow-up appointments for further testing..."
We would like to hear from you. Please send us a message by filling out this form and we will get back with you shortly.